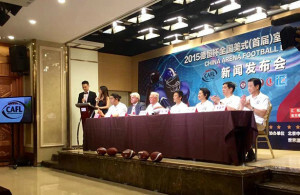 Beijing – The CAFL (China American Football League) takes another big step towards its launch of US-style professional indoor football when it stages China’s first-ever University-level tournament this week in Beijing. “We founded indoor football programs at 6 of the leading Sports Universities here in China 18 months ago. I can’t wait to see the young men take the field for the first time in game conditions. Its going to be fun, and fantasic for the players and fans alike!” So said Marty Judge, the CAFL founder, from Beijing where he and his CAFL corporate team of executives are on hand for the tournament. The event will be staged over four days from October 14-18, as part of a sports festival sponsored by the CRFA (China Rugby Football Association), the CAFL’s supporting body of the Chinese government. The six college teams will compete in a round robin format with play to begin Wednesday morning and concluding Saturday afternoon. The CAFL’s own media team (Tilley Media) is on site for full daily coverage and features taking you inside the action. 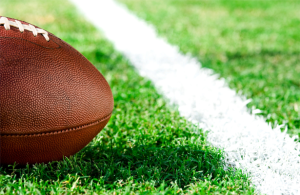 Check our special section “Countdown to Kickoff” for all matertials related to this historic event. For further information, contact Lou Tilley at LTilley@Tilley.tv, or by phone at 610-937-8420. 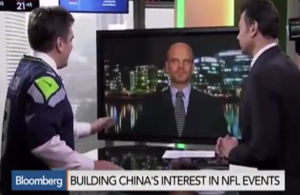 Newer → VIDEO: Is China Ready for Some Football?